Thinking of moving your office to an open layout? So are a lot of other businesses. The open-office concept has become the norm across many organizations. It is especially common among companies trying to attract younger talent and encourage a family-style culture. Space Savings. As you grow and hire, you will run out of room. A nice alternative to having moving your entire operation to a bigger office is to modify the workstation layout and size. Collaboration. An open-office design encourages employees to collaborate and work together. Open-office layouts typically involve smaller clusters of open workstations with larger collaborative and community areas throughout. It also makes for a more fun, inviting environment. As you can imagine, open workstations also make employees seem more approachable to one another. Communicate. You’ll want to communicate the change early to give employees time to prepare. In addition, you’ll want to communicate the “why” to your team so they have some rationale for the change. For example, you might explain that a more open design supports the company’s values of community and collaboration. Employee Engagement Team. Consider creating an engagement team to represent the employees when making decisions for the remodel. Does one department need more storage space than another? Are employees worried about noise levels or privacy? These are the things a remodel committee or engagement team can help you consider when making decisions. Include private spaces. It’s important to have plenty of quiet, private spaces for employees to use if they need to take a longer phone call or want a quiet place to go for some uninterrupted work time. 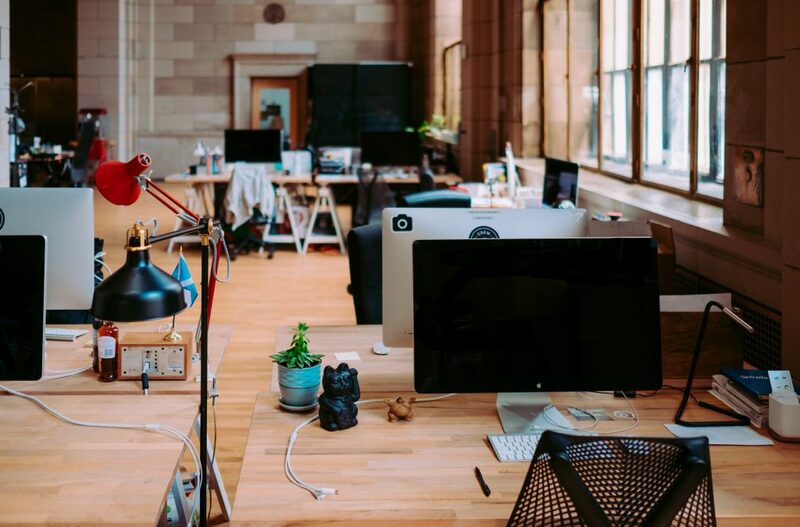 With plenty of workspace options available for employees to use, they will be more likely to embrace their new, open workstations.